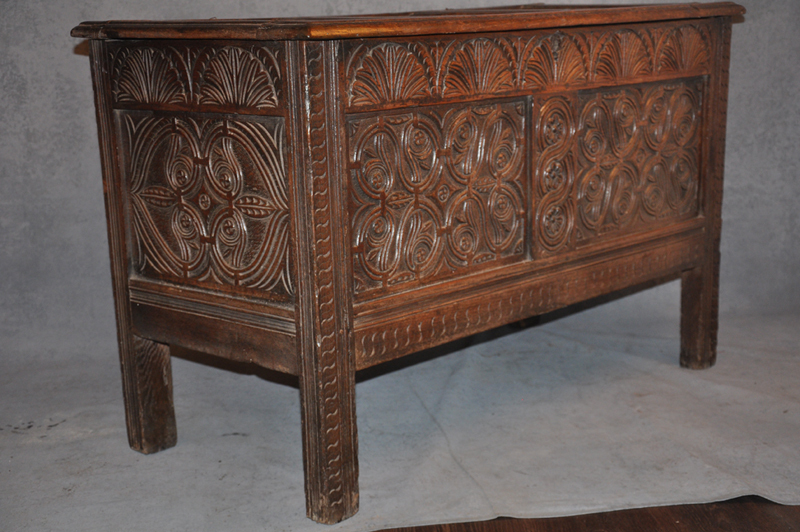 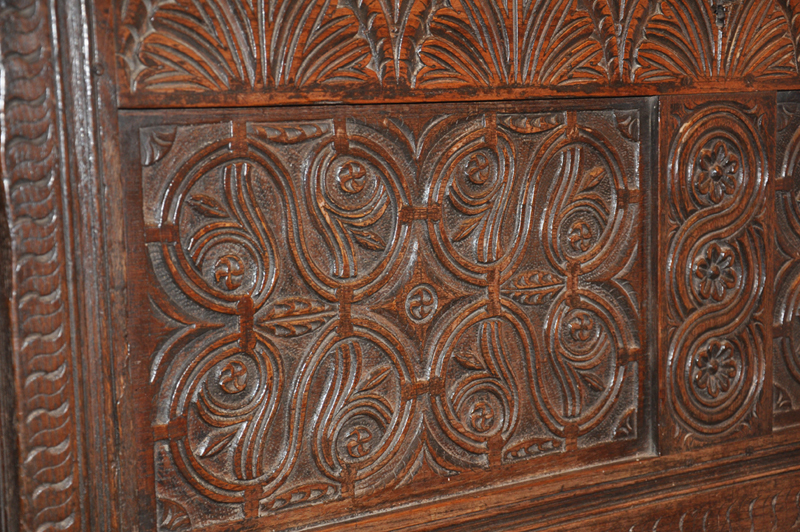 A really nice, very well Carved 17th Century Oak coffer having carved ends. 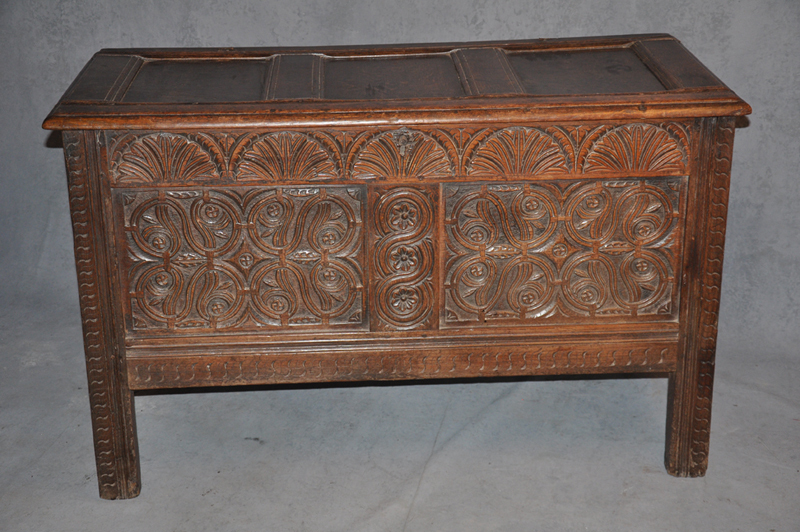 The colour is very good and it stands very well having lost nothing from the feet, the top is paneled. 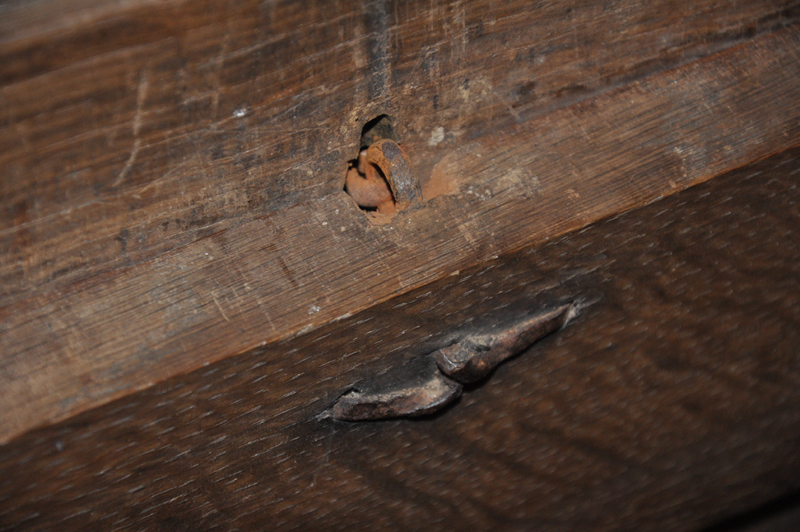 The ring hinges are original.